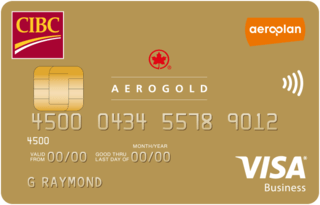 CIBC Aerogold Visa for Business is typically available to those with good credit scores (650 or greater). - On purchases within the first 4 months. - In addition, earn 20000 bonus miles on your first purchase. On purchases made on airlines, car rentals, and travel agencies.